Welcome to Simmer's Garden! Like our Facebook page, follow our Twitter page, Tumblr page, and Gab page to stay informed with all our latest important notifications... 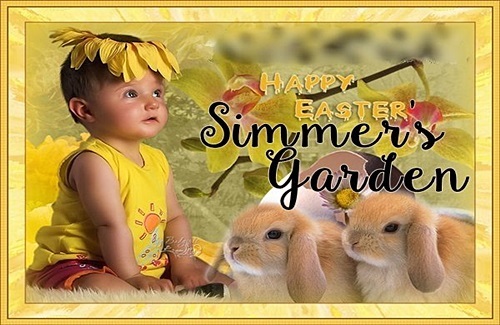 Happy birthday to our following Simmer's Gardeners for the month of April: April 1 - Henii.348, April 4 - szanne7000, April 14 - BabyChimee, April 18 - chasinqcomets, April 20 - Sushi09091, and April 25 - Dominie. We hope you have your best birthdays ever! Easter Blessings to you!